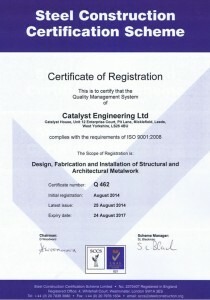 The construction industry is facing one of the most significant changes for a decade as CE Marking of construction products becomes mandatory in all Member States throughout the European Union and the European Economic Area. 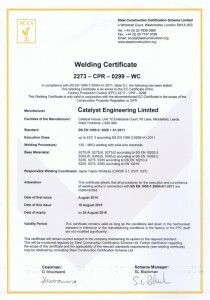 CE Marking demonstrates rigid compliance with the appropriate manufacturing standard for a product. 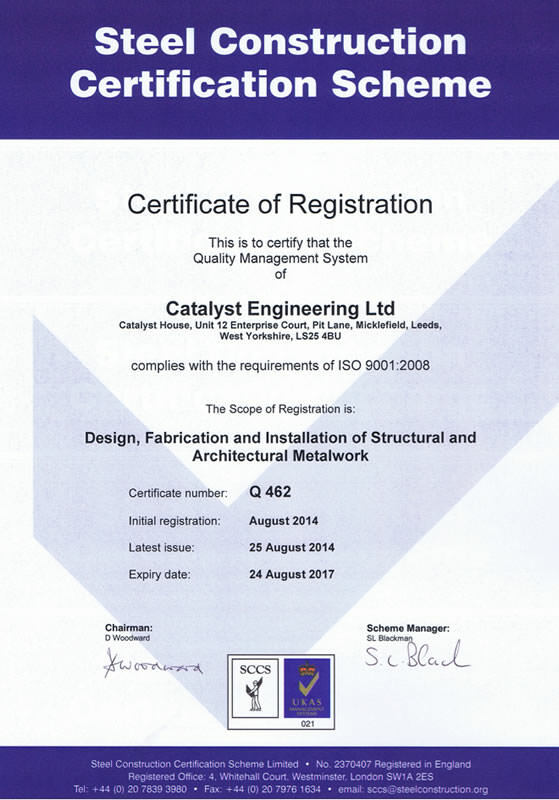 Catalyst Engineering made the decision to achieve Execution Class Three over Class Two which a large percentage of UK fabrication companies have opted for. This has put us in the enviable position of being able to bid for and carry out the more technically demanding projects that our competitors cannot legally carry out. 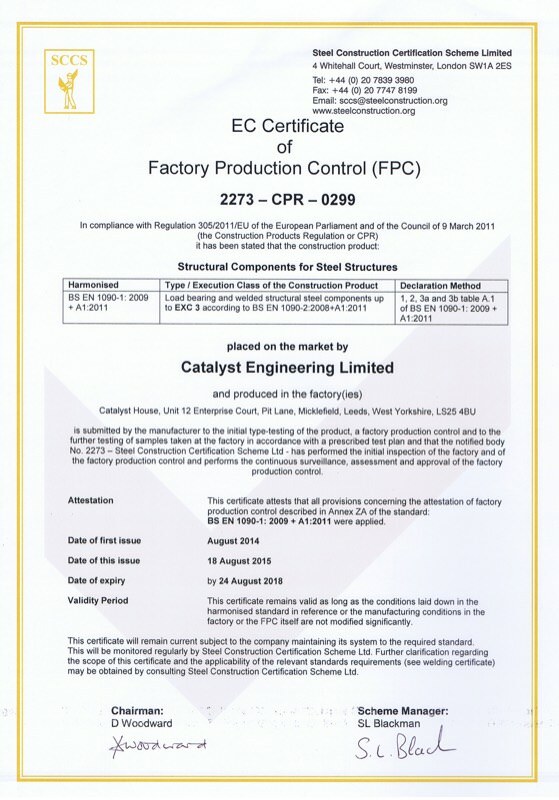 Catalyst Engineering have achieved compliance with BS EN 1090-1: 2009 + A1:2011 Factory Production Control which allows us to in-house CE mark structural steelwork up to and including Execution Class Three in accordance with the Construction Products Directive. 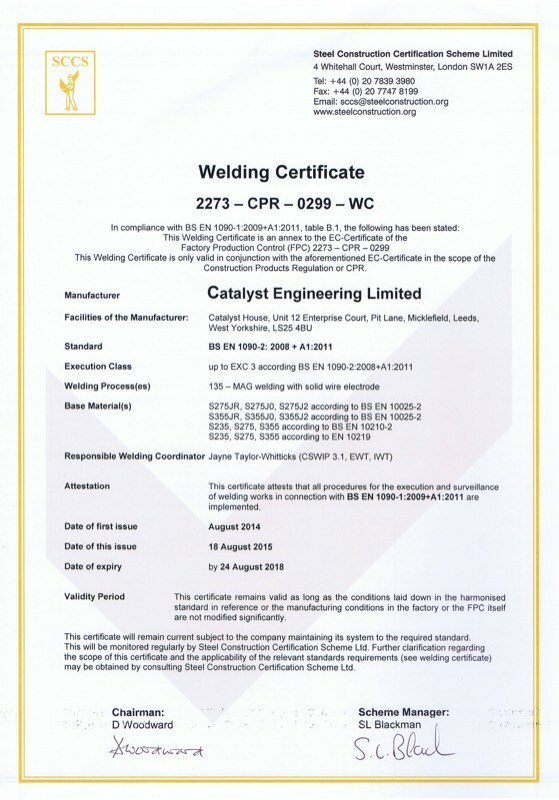 This accreditation is subject to regular factory inspections by the Steel Construction Certification Scheme to ensure that the high standards demanded by this Execution Class are maintained. 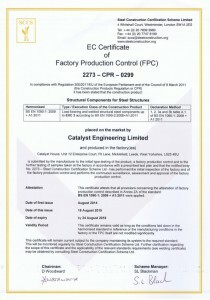 We also took the opportunity to gain ISO 9001 accreditation of our Quality Management System, and are currently working towards ISO 14001 accreditation for our Environmental Management System.